In the history of security, no business has been declared as burglary immune! In other words, there is always a possibility that a thief might be targeting a commercial establishment regardless of its size as well as the industry. As a result, it is important for commercial owners to consider some top ways for discouraging potential intruders from breaking into your commercial space. Here are some of the tips that will decrease the chances of a burglary event in a commercial setting. A disgruntled employee might want revenge by breaking in a fortnight after resigning. The best approach for ensuring that such incidences don’t occur is changing the security codes immediately an employee leaves your company. Note that this is not only applicable when employees leave on the worst terms. Even when employees leave on good terms, you never know their hidden intentions entirely. Thus, it is important that you consider a lock change as soon as possible. Burglars are very keen to study existing security features. 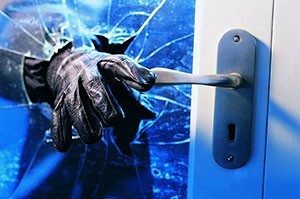 In many cases, you will find that burglars break in and leave without the alarm system going off. This is because the burglar may have mastered the existing system and devised ways to compromise the alarm. Thus, the burglar is able to break in and steal even without the system alerting you. This is why it is important that you replace your old-fashioned security system with a modern one that is effective and hard to crack. Don’t always leave your valuables exposed to strangers. Consider installing commercial safes to keep the valuables hidden. Contact a trusted commercial locksmith in LA for skilled safe installation. In addition, keep your valuables locked in a security safe to conceal them from the eyes of burglars. Keeping valuables in a safe alone is not very effective when it comes to securing the valuables. Another feature to consider is changing the safe combinations regularly. Generally, it is important that you make this a security policy and have it done at least once in a while. It can be once a month, or even weekly. Burglars are much smarter these days, so you’ll want to secure every entrance to your business the best you can. Make sure to secure doors, windows, air ducts, and even roofs because if you give an inch, your enemy will take a mile. If you are still concerned about potential weak points, contact your local locksmith for a good estimate on better commercial security. With the above top security tips, you can rest assured that your commercial establishment will be safer. By discouraging burglars from striking and ensuring that your valuables are also safe. Contact a qualified commercial locksmith today to upgrade your commercial security system and better prevent commercial burglary. Locksmith Los Angeles brings one of the most reliable locksmith services in the city of Los Angeles. Apart from being highly reasonable, our services are also available 24/7. Locksmith Los Angeles brings one of the most reliable locksmith services to the city of Los Angeles. Apart from being highly reasonable, our services are also available 24/7 and our technicians respond to service calls within 20 minutes.